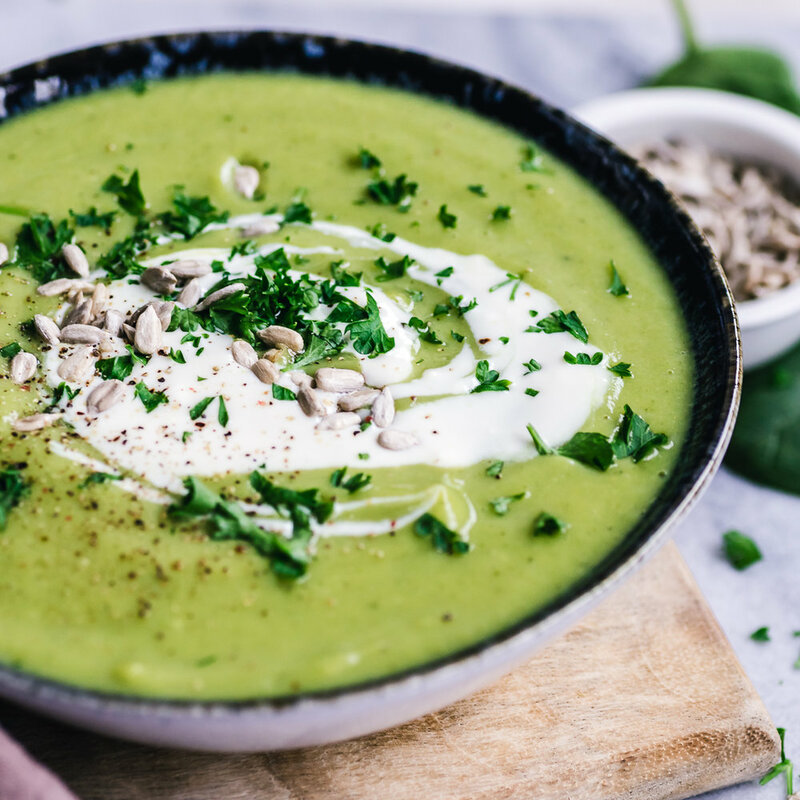 This healthy soup recipe is sweet, creamy, full of anti-inflammatory spices and is incredibly nourishing. The secret ingredient is avocado, which creates the creamy texture and well as adding to the flavour and nutritional value. 1) In a large pot start by cooking the onions in the coconut oil on a medium heat until the onions start to soften. 2) Add the garlic and turmeric cooking for a further few minutes. 3) Add the broccoli, ginger & black pepper cooking for a few more minutes before adding the stock. 4) Cover the pot and simmer for approximately 10-15 minutes, until the broccoli softens. 5) Allow to cool slightly before blending all ingredients together with the avocado until smooth. 6) Top with an optional dollop of coconut milk, sprinkle of black pepper and your garnish of choice. 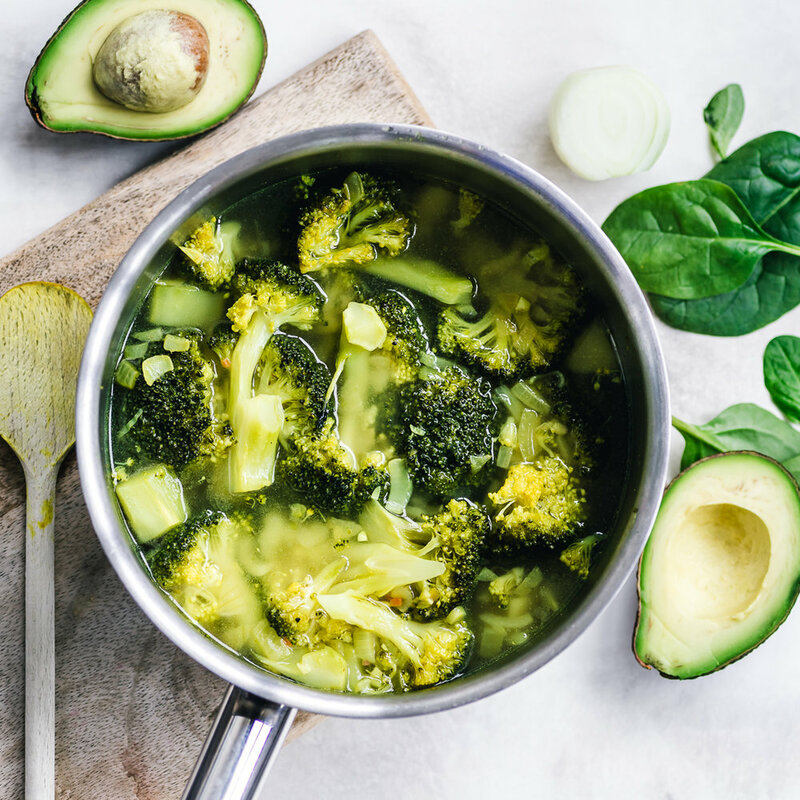 Enjoy this soup as a starter, side dish or simply stir in your choice of protein such as tempeh or tofu to create a nutritious and filling meal.